The High Value Residency Program in Jersey permits individuals to acquire ‘Entitled’ status without the mandatory residency norms. Approval of application for ‘Entitled’ status allows the immigrant and family members to reside in Jersey, buy or lease property, conduct business, and enjoy the educational and health facilities available in the Island. The program is supervised by the Chief Minister and administered by the Population Office. The application must be made to the director of High Value Residency appointed to oversee the implementation of the program. Originals plus one photocopy set. Verified copy of valid passport. Disclosure certificate from Disclosure & Barring Services. Marriage certificate if purchasing property in joint name. Disclosure of worldwide income to the Comptroller of Taxes. An individual can participate in the High Value Residency program of Jersey by applying for ‘Entitled’ status. This status is granted by the Chief Minister on the basis of social and/or economic justifications and after considering the overall best interests of the community. An individual with ‘Entitled’ status will be treated at par with those who have lived in Jersey for a period of not less than 10 years. The person holding this status can buy, sell, or lease any property subject to restrictions imposed at the time of grant of residency. The ‘Entitled’ status holder can work anywhere and does not need a license to be employed in Jersey. The following factors are considered when assessing applications by immigrant investors for status of ‘Entitled’ resident under the High Value Residency program of Jersey. 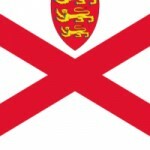 Contribution to tax revenue as specified in article 135A of the Income Tax Law of Jersey. Commercial, business, and social background of the applicant. The various benefits that Jersey would enjoy by granting ‘Entitled’ status to the recipient. Other benefits that the Island and its residents will enjoy if the applicant becomes a resident of the island of Jersey. There are no minimum investment requirements for applying for ‘Entitled’ resident status in Jersey. The investor must obtain license to purchase ‘1(1)K’ property in Jersey. The license is issued solely to high net worth individuals. The license is granted on the basis of annual tax contributions by the applicant. In order to be eligible for the license, the applicant must generate enough income to pay minimum tax of £125,000. At rate of 20%, the individual must generate annual income of at least £625,000 including income generated in Jersey in order to meet the minimum tax contribution requirements. Income of over £625,000 will be taxed at the rate of 1%. Normally, ‘1(1)K’ are high-value properties costing around £1 million and more on the island of Jersey. Hence, application under the High Value Residency program will involve an investment of a million pounds and annual tax contributions of £125000. Upon application for grant of ‘Entitled’ status under the high-value residency program of New Jersey, the authorities will assess the applicant’s eligibility for ‘1(1)K’ license. The net worth of the applicant and other related factors will be considered when determining whether the applicant has sufficient wealth to comply with the minimum tax contribution requirements. A lower minimum tax contribution requirement may be allowed if the applicant provides proof of compelling economic benefits that the island of Jersey will enjoy upon grant of residency to the applicant. Potential voluntary business, commercial, or social contributions that the applicant can make to the local community. Ability of the applicant to provide training or participate in sporting initiatives in educational institutions or in initiatives aimed at the youth. Whether grant of precedents of the applicant will attract media coverage the applicant’s activities or to activities involving the business or social life of the applicant. Negative media interest regarding past business practices and positive interest relating to sports or educational achievements—both shall be taken into consideration. Skills or cultural interests that has or may benefit the local community and which would benefit the island as a whole. The general lifestyle and family circumstances of the applicant. Past charitable activities, contributions, criminal record, and other relevant factors. Other clear undesirable and unacceptable factors in the background of the applicant. Potential local impact that the applicant will have after becoming a resident of Jersey. Intention of the applicant to carry out business activities in the island. Special emphasis will be paid on generation of local employment, training of employees, diversification of business activities in the island and potential increase in tax revenues for the island of Jersey. The final decision on the application will be made on the basis of analysis of economic benefits and other potential benefits determined on basis of above-mentioned factors. Mere fulfillment of economic conditions will not result in automatic grant of residence. The application shall be processed in a final decision shall be taken within 14 days provided all necessary documents and information has been submitted. Upon the grant of status of ‘Entitled’ resident, the applicant will be eligible to buy or lease property in Jersey as the principal place of residence in the island. The property purchased or leased by the applicant should fall within the classification of ‘1(1)K’ property. The ‘Entitled’ status will pass to the surviving spouse in the event of death of the applicant. The surviving spouse will be permitted to live in the property. The process comes to an end upon grant of ‘Entitled’ status through issue of the approval letter.